Held in Turin, Italy, seven countries from Europe battled it out in the real-life kitchen stadium, for a place on this year's podium and a chance to compete at the grand finale in Lyon next year. Competing teams had five hours to create two fruit desserts; 10 plated desserts; a sugar sculpture; and a sculpture made of chocolate. Team Sweden, made up of Jessica Sandberg and Martin Morand, were declared the champions for their creations themed around Mother Nature. Rounding out the podium are Belgium and Switzerland. Turkey, Russia, Poland and Bulgaria also competed. 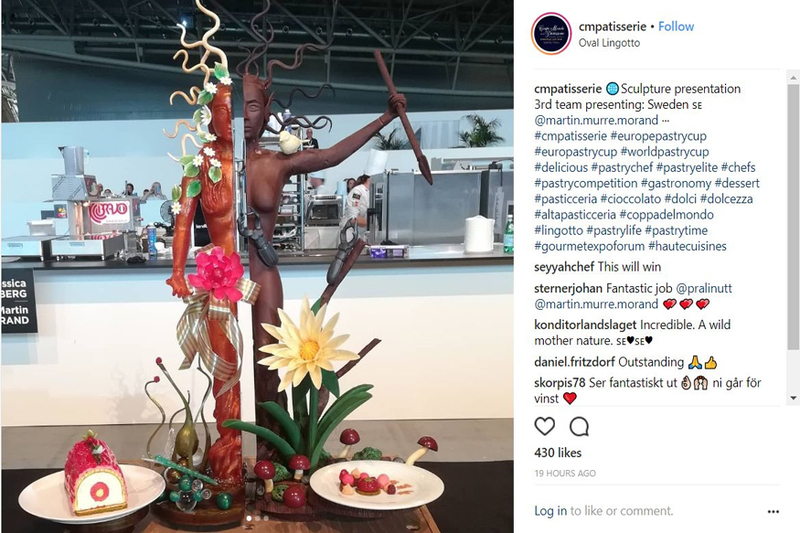 The Finale of the Coupe du Monde de la Pâtisserie (World Pastry Cup) will be held in Lyon, January 2019.